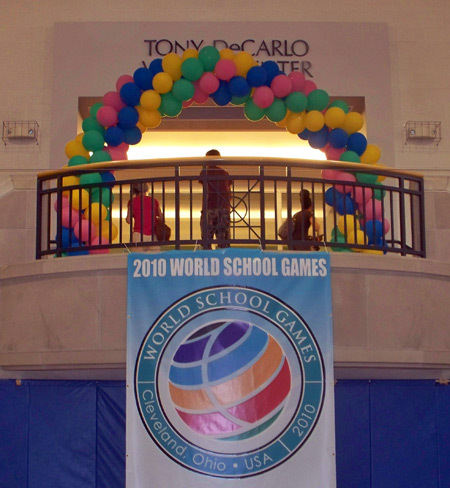 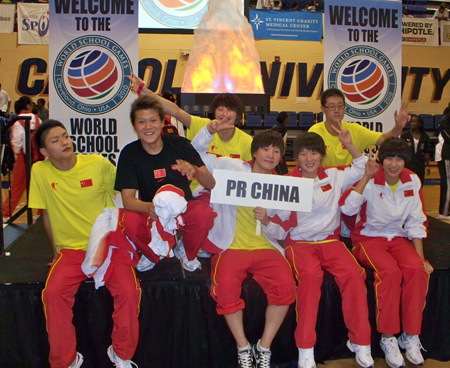 Nearly 300 athletes competed at the inaugural 2010 World School Games held at Gilmour Academy in Gates Mills, Ohio from July 21-25, 2010. 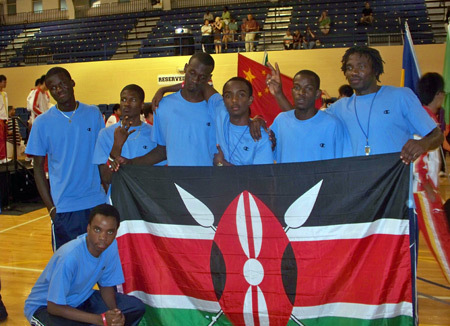 Athletes representing China, Kenya, the Philippines, Chinese Taipei, Hong Kong, Ghana, Zambia and Northeast Ohio spent the week vying for medals in soccer, swimming, basketball, tennis, and volleyball. 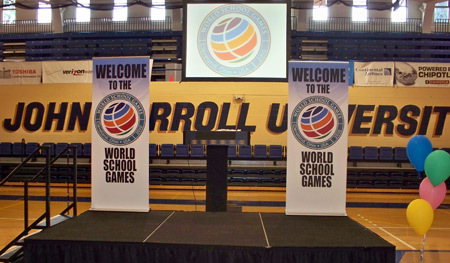 John Carroll University housed the coaches and athletes from international delegations and served as the host site for both the opening ceremony and closing carnival. 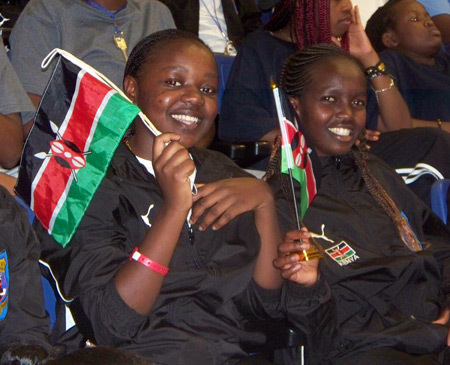 The amazing atmosphere during the World School Games proved that through sports, strong friendships can be formed among athletes from around the globe, transcending language barriers and cultural differences. 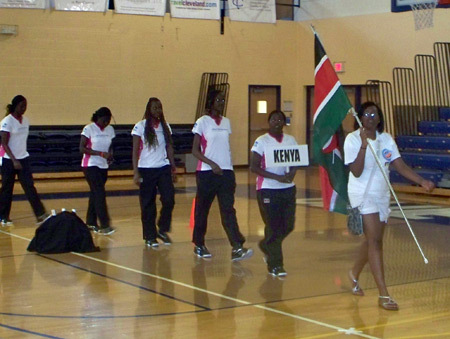 The Opening ceremony was a highlight of the event. 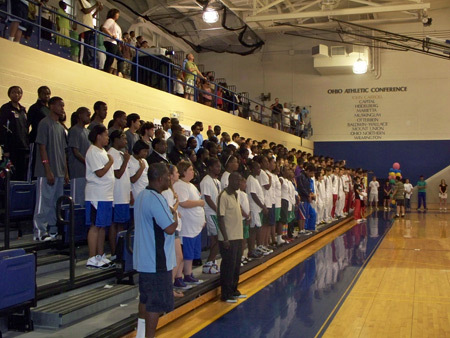 Other activities included a barbecue social held at Laurel School's Butler Campus and a Cleveland Indians baseball game. 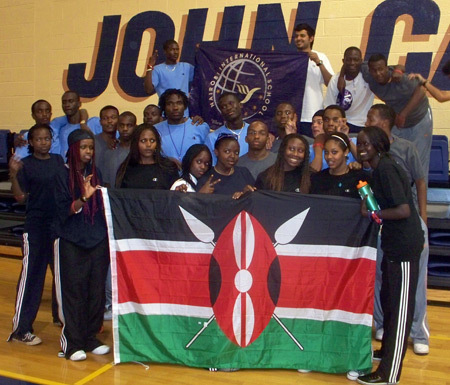 The event concluded with a fun festival which gave everyone a chance to enjoy music, play carnival games and exchange gifts. 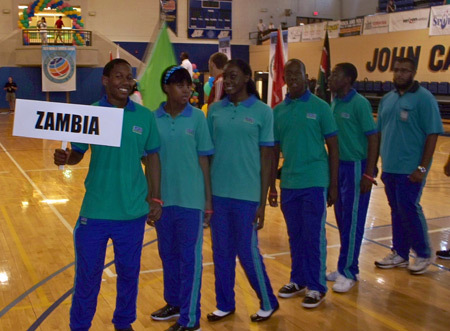 The Scream Team got things started at the 2010 World School Games Opening Ceremony. 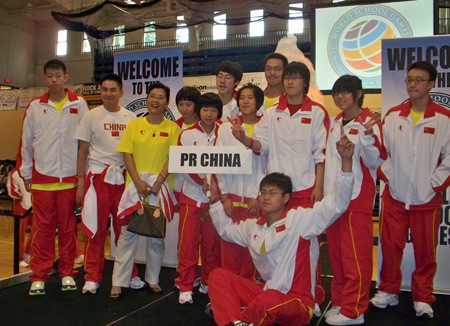 Next came the Parade of Athletes. 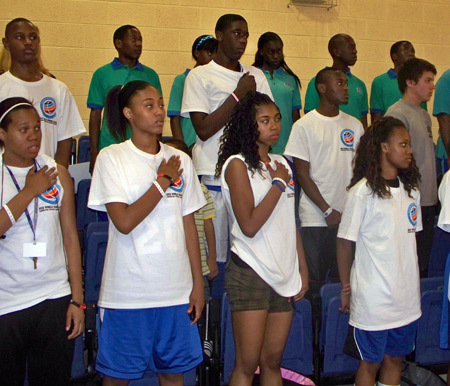 Next the National Anthem was sung. 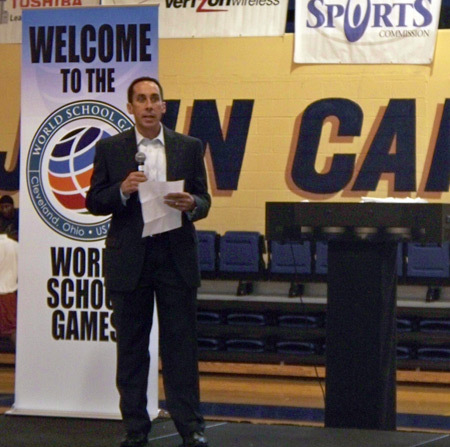 Then David Gilbert, President & CEO of the Greater Cleveland Sports Commission welcomed the student athletes. 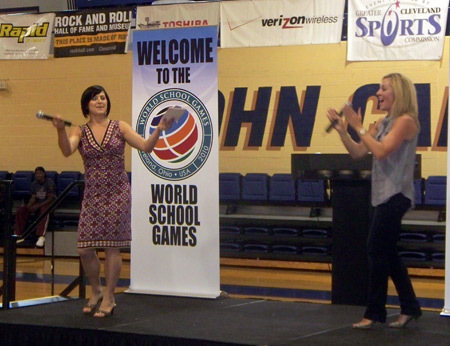 Special guest Olympic Gold Medalists Dominique Moceanu and Diana Munz spoke to the student athletes. 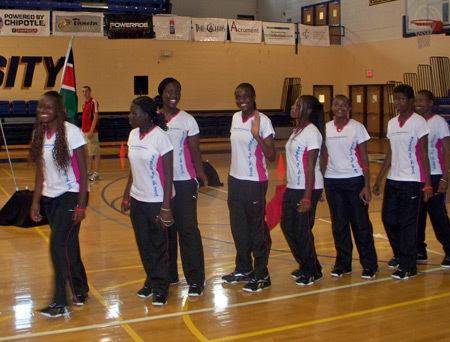 The Olympians asked the athletes a few trivia questions and the winners came up and got to wear a Gold Medal. 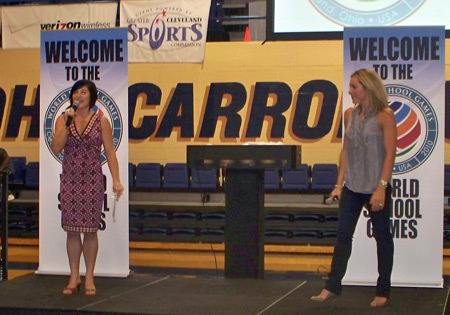 Then Olympic Gold Medalist Diana Munz talked about her car accident and facing and working through obstacles. 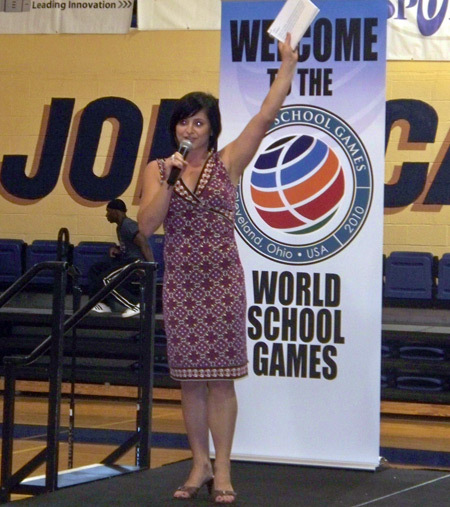 Then Olympic Gold Medalist Dominique Moceanu talked about dealing with adversity and injuries. 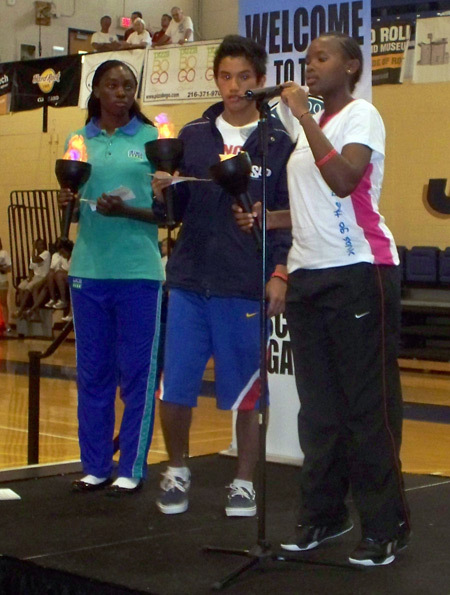 A student athlete asked the pair what it felt like to win a medal and stand on the podium. 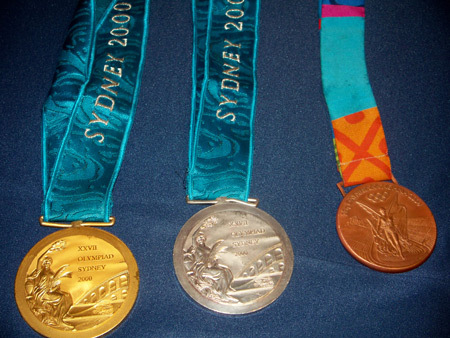 Another student athlete asked how they could achieve their dreams. 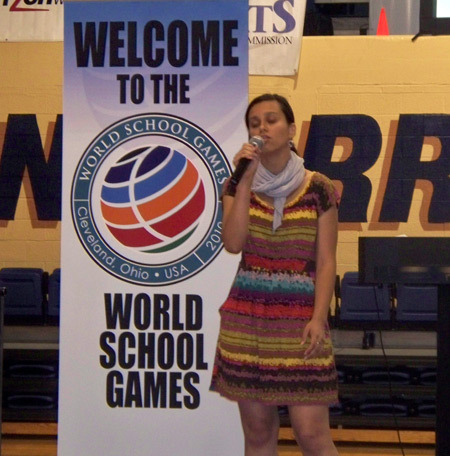 Another student athlete asked Olympic Gold Medalists Dominique Moceanu and Diana Munz how to handle stress and the down days and less-than-perfect practices. 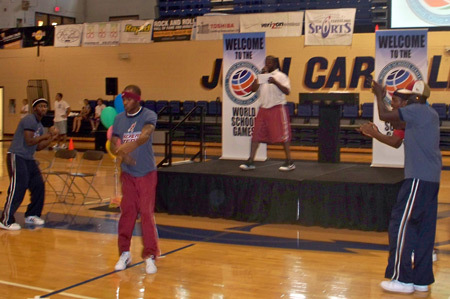 Then the #1 Hip Hop dance team in the NBA - the Cleveland Cavaliers Scream Team - came back for an encore performance. 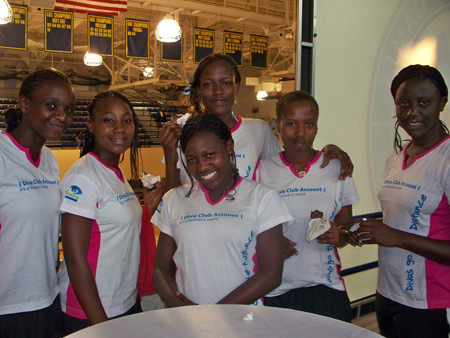 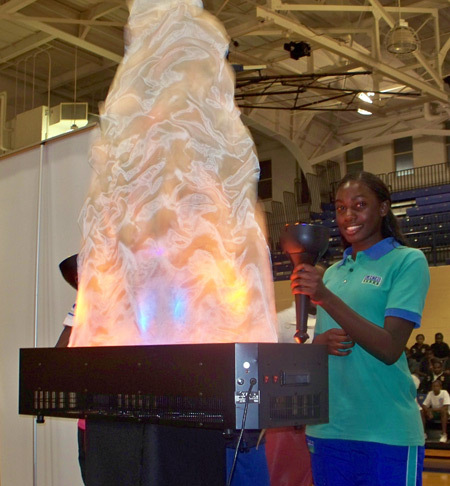 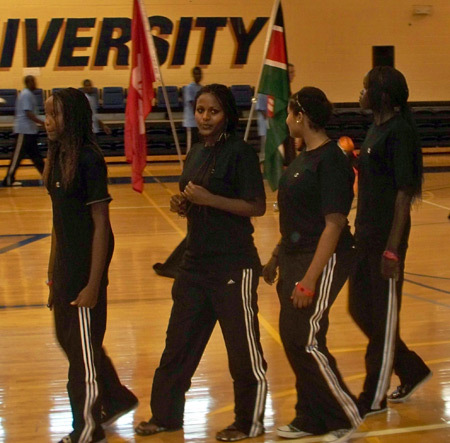 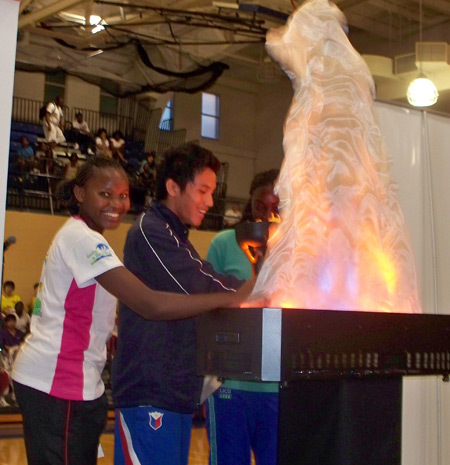 Finally, student athletes from Kenya, Zambia and the Philippines recited the athlete's oath and then lit the torch to begin the 2010 World School Games at John Carroll University in Cleveland, Ohio.